Some environmental groups are warning Teck Resources’s proposed Frontier oilsands megaproject will be a “carbon disaster” with direct emissions comparable to adding almost 900,000 vehicles on roadways. Some environmental groups are warning Teck Resources' proposed Frontier oilsands mine will be a "carbon disaster" with direct emissions comparable to adding almost 900,000 vehicles on the road. The $20.6-billion megaproject is undergoing public hearings in Fort McMurray before a joint review panel established by the Alberta Energy Regulator and the Canadian Environmental Assessment Agency. Mark Worthing, a campaigner with Sierra Club BC, said he's concerned Frontier will exacerbate the world's "climate crisis." "There's absolutely no way any project, activity or development that results in this magnitude of greenhouse gas emissions should even be entertained," Worthing told the hearing Wednesday. "We feel that Teck has offered no compelling arguments or proof that this project is anything other than a climate-carbon disaster." Frontier, which was first proposed as a four-phase project in 2011, would be built in two phases of 170,000 barrels-per-day (bpd) and 90,000 bpd with a mine life of 41 years. The mine's lease area, 110 kilometres north of Fort McMurray, covers 292 square kilometres. Teck estimates the project would emit about four million tonnes of direct carbon emissions per year. One environmental group, the Oilsands Environmental Coalition (OSEC), estimates that would be like adding 891,000 cars to roadways. OSEC said it fears the emissions figure could be worse than Teck's estimates. The coalition presented its own studies at the hearing that estimate Frontier would produce about six million tonnes of direct and indirect greenhouse gas emissions annually. OSEC claims Teck neglected to account for other upstream emissions like natural gas and diesel on site. OSEC and other environmental groups said the emissions from Frontier wouldn't help Alberta meet its goal to cap oilsands greenhouse gases at 100-million tonnes annually. Critics say the mine also would not help Canada keep its promise, under the 2015 Paris Agreement, to reduce 2005 greenhouse gas levels by 30 per cent. The Paris Agreement is a United Nations framework that Canada and other countries have signed to address climate change. "Projects that get the pass need to be best in class and they need to be able to demonstrate that," said Nikki Way, a fossil fuel analyst who works with OSEC and Pembina. Doug Brown, the director of public affairs for Teck Resources, said his company is committed to reducing emissions. The Frontier mine, he added, would be the most advanced in the oilsands in terms of controlling emissions. In a presentation to the hearing, Teck cited a study that suggests oilsands greenhouse gas emissions will decrease over time as a result of technological innovations in the industry. 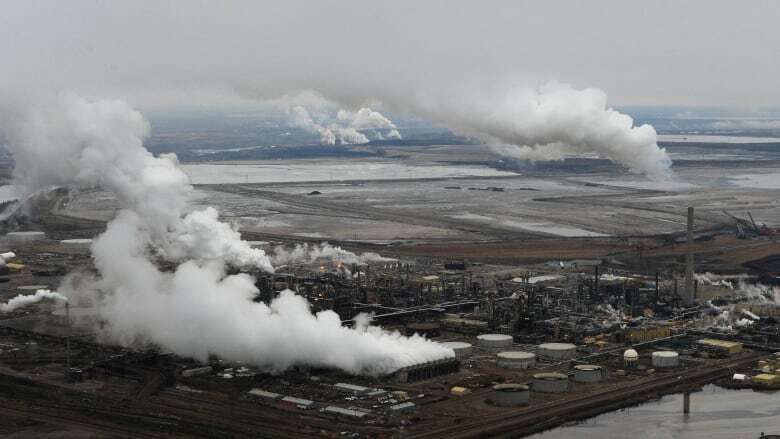 The recently published study, titled Greenhouse gas intensity of oil sands production, calculated that the average intensity of upstream greenhouse gas emissions from oilsands production fell by 21 per cent between 2009 and 2017. According to the report, authored by oilsands analyst Kevin Birn, the trend is expected to continue, with emissions decreasing further by 2030. The study states the decline has come from carbon capture and storage, using natural gas instead of diesel to run heavy haul trucks, heating plants with natural gas instead of petroleum coke, and using solvents instead of heat-intensive techniques to extract and process bitumen. As to whether the Frontier mine will push the oilsands over the province's annual 100-million-tonne target, Birn said the proposed mine alone is not likely to result in the limit being broken. 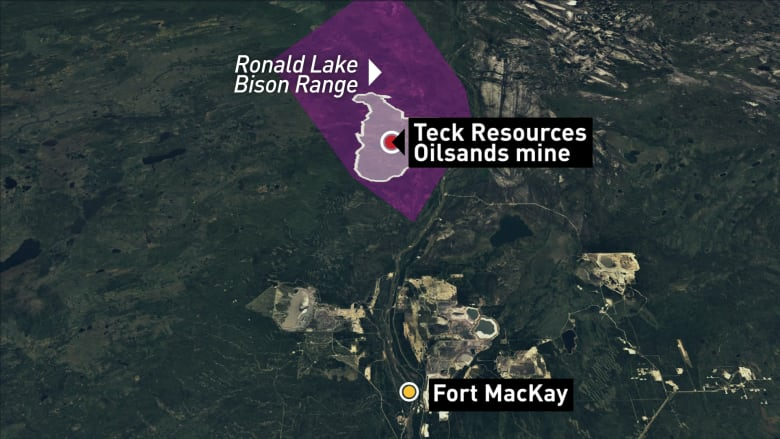 "Whether Teck would make or break the cap depends on what other projects are built," Birn said in an interview with CBC News on Wednesday. "I don't know if it hangs on Teck's project."